Discovering the style of your house will aid in replacing missing ornamentation and in making compatible additions and changes. The more you know about the history of your house before you begin rehabilitation, the more successful and gratifying your project will be. The first step in identifying the style of your house is to take a good look at the outside. Take note of the roof shape, the arrangement of the windows and doors, the basic shape of the building, the materials and the details. Keep in mind that your house may have changed since it was built. It may have a different type of siding, ornament may have been removed or added, or windows may have been changed. It is often possible to determine the style of an altered house by its shape and roof type. Knowing the year it was built could be helpful. After considering these factors, look at the different styles in the links above and find the house that most closely resembles yours. Your house will probably not be exactly like any of the examples shown. Look for similar shapes, materials, and details. Then read the description of that style to find out more about its history and specific characteristics. Art Deco buildings are brick or stone and are characterized by geometric decoration. 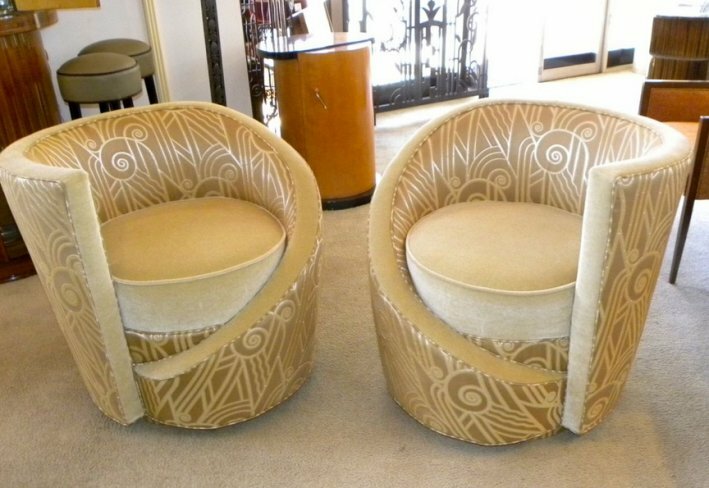 Moderne, a style that followed Art Deco, is closely related but lacks the intricate geometric Art Deco ornamentation. Spanish Mission houses are one-and-a-half to two-and-a-half stories high, square or rectangular in plan, and have gable or hip roofs covered in red, green or orange ceramic tiles (or in metal, fabricated to simulate tile), or flat roofs. Tudor Revival houses come in various sizes from one-and-a-half story cottages to two-and-a-half story mansions. The standard Bungalow is square or rectangular in plan, one-and-a-half stories high, with a low pitched gable or jerkin-head roof, wide roof overhangs and gable or jerkin-head roofed front porch. Houses of the Prairie style are characterized by an overall horizontal emphasis achieved by low proportions, low-pitched or flat roofs with wide overhangs, banded casement windows, and low, massive chimneys. Colonial Revival is used to describe houses based on designs from the Colonial period in American history. Swiss Chalet houses are typically square or rectangular in plan, two-and-a-half stories high, have low pitched roofs with front gables, and wide eaves supported by decorative brackets. Chateau houses are massive, two-and-a-half story buildings with steeply pitched hip roofs and smooth stone walls. The chief feature of Richardsonian Romanesque buildings is the heavily emphasized round Roman arch. Queen Anne houses are brick with wood shingled or stuccoed upper floors, or wood with surfaces variously sided with clapboards and an assortment of shingle patterns. Evolving from Queen Anne was a style that exhibits many of its characteristics, the Shingle style. Material:Thin Vinyl, no pocket , computer-printed for realism.